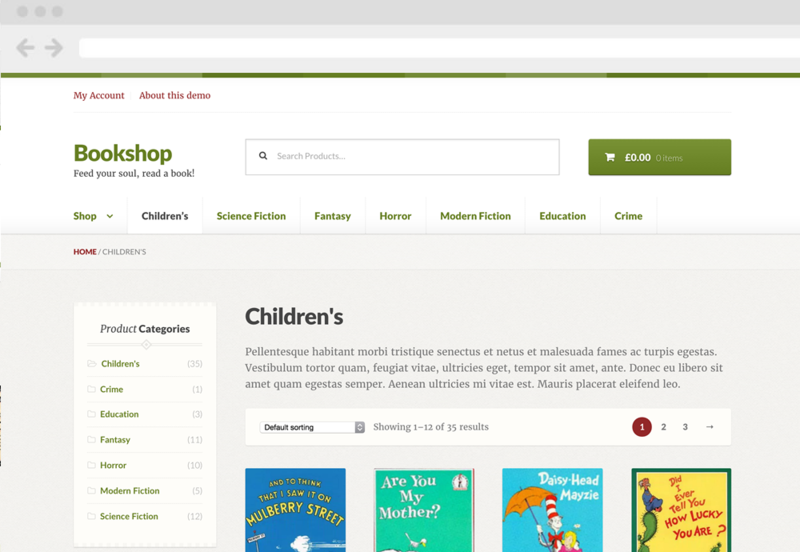 Bookshop is a child theme for Storefront, the official WooCommerce theme. It features a classic design that presents books and other collectible products, such as wine. Bookshop is a Storefront child theme, so you first need to install and set up Storefront and then Bookshop. Download Bookshop from your WooCommerce.com account at My Downloads. Repeat steps 3-5 for the Bookshop theme from step 2. After installing your theme, a notification appears to activate your key via the WooCommerce Helper for the Bookshop theme. Follow the instructions at: Adding Keys. Once installation is complete and the key is activated for Bookshop, it’s time to configure and set up your themes. On the demo, the product archives display an author and a format. Format – Displays paperback, hardcover, special edition, etc. Writer – Displays the author. The term ‘author’ is a protected value in WordPress core and cannot be used. Once added, these attributes are displayed automatically. More info at: Managing Product Taxonomies. Note: We do not supply the exact images you see in our Bookshop demo due to copyright restrictions. Images used in this demo can be downloaded from the Open Library project. You can! 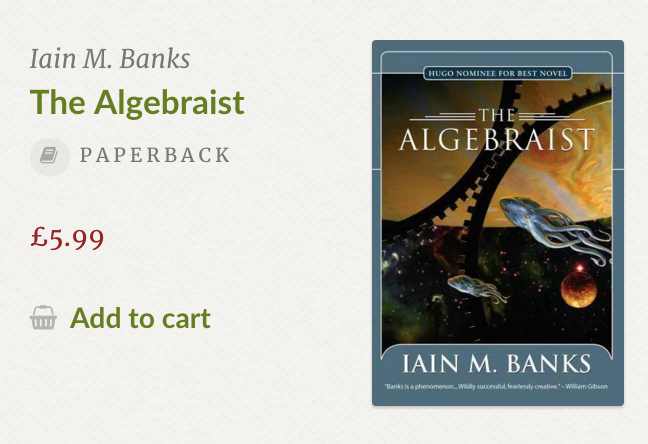 By default, Bookshop will display the Author attribute (pa_author) and the Format attribute (pa_format). You can use the bookshop_author_attribute filter to change the which attribute is displayed above the product title and the bookshop_format_attribute filter to change which attribute is displayed beneath the product title. Here’s an example of how you’d change the author attribute (the one displayed above the product title) to display the term from the ‘newattribute’ attribute. Obviously just change ‘newattribute’ to whatever you’d like to use. Bookshop applies specific styles to elements such as buttons and the header, so these settings are removed from Storefront Designer to avoid confusion. The demo uses the Storefront Mega Menu to create the large drop down menu. Yes. Go to Storefront Blog Customizer to see what’s possible. Yes. Go to Storefront Checkout Customizer to see what’s possible. Yes. Go to Storefront WooCommerce Customizer to see what’s possible. Because Bookshop is already a child theme, you are unable to do this. Any changes added to the Bookshop functions.php file will be lost when updating. Instead, we recommended that you add code snippets to a customization plugin. We’ve created one to do just this. Download Theme Customizations for free. Can I change the attributes that are displayed on product archives? On the demo there is a large drop down menu, how do I enable that? Can I customize the look and feel of blog pages? Can I customize the look and feel of checkout? Can I customize the look and feel of WooCommerce pages?